Bharatiya Janata Party (BJP) leader Subramanian Swamy, on 31 October, snubbed Congress general secretary Digvijaya Singh for alleging that 'someone' was behind the escape of SIMI terrorists. Swamy said that the former Madhya Pradesh CM has lost his 'mental balance' after his second marriage and hence, it would be pointless to aggravate the issue by commenting on his ridiculous remark. "Digvijaya has made so many statements, which are wrong and ridiculous. He had also said something about Hemant Karkare (IPS officer) being killed by the RSS. 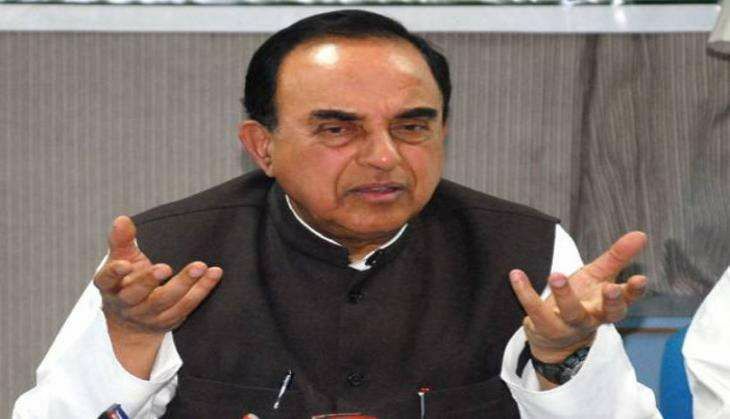 After the second marriage, he seems to have lost his mental balance and, therefore, there is no point in further aggravating his mental tension by commenting on his remarks," said Swamy. Eight terrorists of the banned group SIMI, who escaped from the Bhopal Central Jail after killing a guard, were gunned down in an encounter by the state police.